I am back in Iceland after a break in Finland! 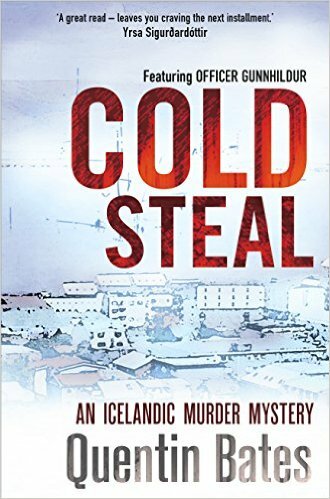 After a break of a few weeks, I have picked up the blog to bring you updates on two books I’ve read both set in Iceland and both featuring female investigators. 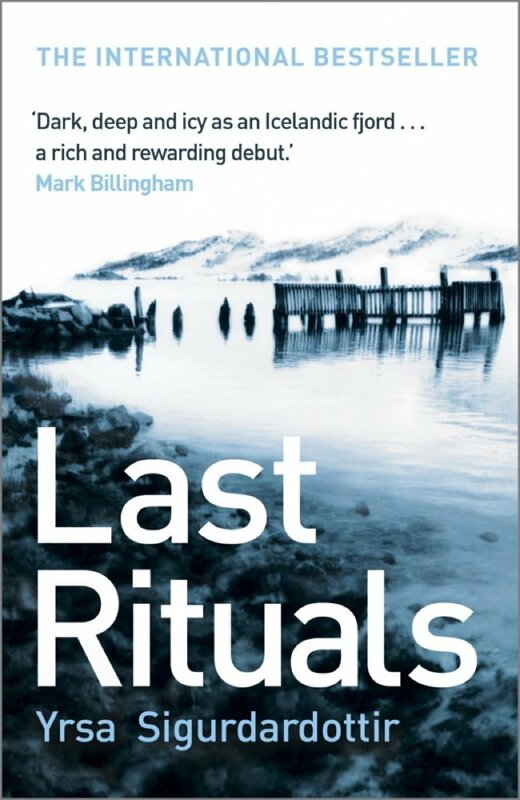 The international best-seller, quoted on the cover as ‘Dark, deep and icy as an Icelandic fjord… a rich and rewarding debut.‘ Mark Billingham. I have had some time to myself recently as my readership will know, so decided to buy the first three of Yrsa’s ‘Thora’ stories. She is a lawyer by trade, divorced and dealing with kids and work. She has a much-reduced lifestyle as a result. She gets pulled into this investigation when a German research student, Harald, is found horrifically murdered on the university campus. Another boy has been arrested and faces an aggravated murder charge and as far as the police are concerned he did it; he can’t prove he wasn’t there, no alibi and as he has no recollection of events due to his drug and alcohol abuse neither, however, can the police prove he is complicit and are relying on his confession which he won’t give them. Harald’s family also believe the boy isn’t guilty and despatch their business ‘security’ adviser Matthew to engage Thora’s help in navigating the legal system, translating and flirting! Thora and Matthew stumble around unearthing missing relics, documents, and rituals. It appears that Harald had a fascination with witchcraft and black magic and his research diverted him from his main thesis much to the disappointment of one of his tutors, who unfortunately had Harald’s dead body literally fall on him. Harald’s student colleagues are wrapped up in this somewhere, but it isn’t completely clear; how can you rely on what they say when they were drunk, drugged and loved-up around the time of the death in a very busy bar. It’s a great novel, well plotted which I have read most recently and enjoyed the interactions between Matthew and Thora as an almost amusing sideline to the novel – a little like in my opinion to the humorous dialogue between Martin and Saga in ‘The Bridge’. It’s a great ‘whodunit’ in my opinion with the traditional amateur sleuth. I have two of the follow-on books ready to read, but there are more…. 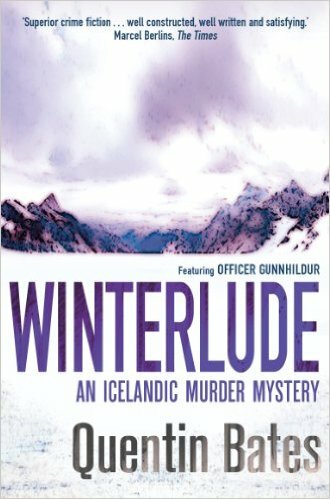 I shall be diverting back to England for one of my next reads, but before that, I will recollect my other Icelandic adventure. 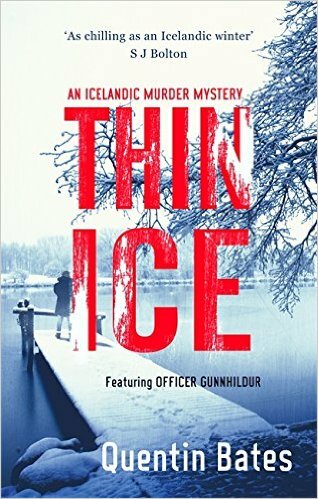 I hasten to add I bought his one at Nordicana 2015 in June when I met first Quentin – aka Greybeard (@graskeggur) on the ‘Iceland’ stand when I was buying my copy of ‘Snowblind’ by Ragnar Jonasson which he translated. I had never read anything Icelandic until then. 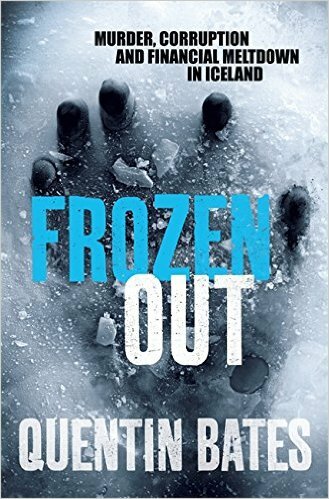 I felt obliged to buy ‘Frozen Out’ as the author was there and I could get it signed! I do love a signed book! I didn’t regret it, apart from making a friend, I also have a new female fictional heroine to add to my increasing list and a new author to follow. 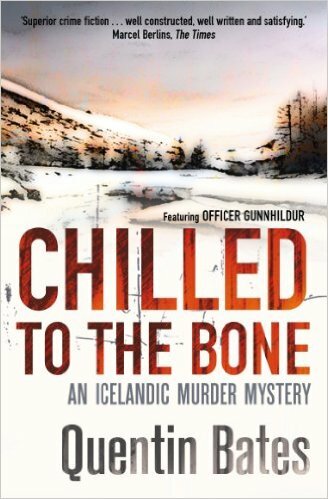 Gunnar, as we get to know her as is the local police sergeant in fictional Hvalvik, a fishing port of Quentin’s imagination. It’s not too far to drive from Reykjavik. The book is set to the backdrop of the financial meltdown in the Nordics. 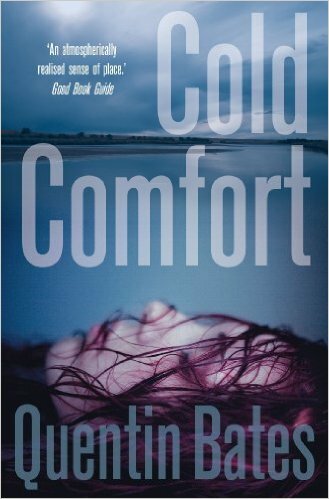 She is woken one morning by a telephone call about a body found in the harbour water. The corpse belongs to an employee of a PR firm and apparently drowned miles from where he was last seen. Gunnar is suspicious of this and sets about digging. 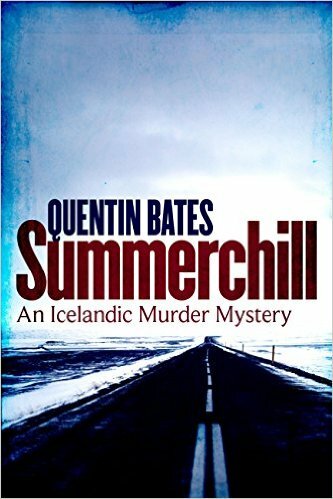 There are a number of other layers to this – an anonymous blogger that writes scandalous and possibly libelous reports that contain clues and references to the crimes, there is a shady unidentified man taking taxi rides from Gunnar’s cousin. This man has links to the PR company as a ‘Mr. Fixit’ and in tandem with this there is corruption in government which also has familial links to the PR company in and around the development of industry in the area. The waters are muddied because we find out that a recent contact of the drowned man was the victim of a fatal hit-and-run accident! No one was caught. But he was very involved in a campaign group against the industrial project. Quentin, also know for his translation work, is English and lives not too far away from me on the south coast. His Icelandic language skills come from his time working there I believe many years ago, so he is familiar with the culture and no doubt the climate. I’m also keen to state that he has also translated Nightblind by Ragnar Jonasson which is due out in December on Orenda Books another one from Iceland I am very much looking forward to. I’ve been somewhat remiss since the summer so I should now endeavour to pick up and read a relatively local crime novel. I am eager to boast about this as I also have a personally signed hard-copy of this one from when I met Sarah at Nordicana 2015 and it’s been creeping up the list. It’s also just been published in paperback. I will eventually put some words together on this one too! 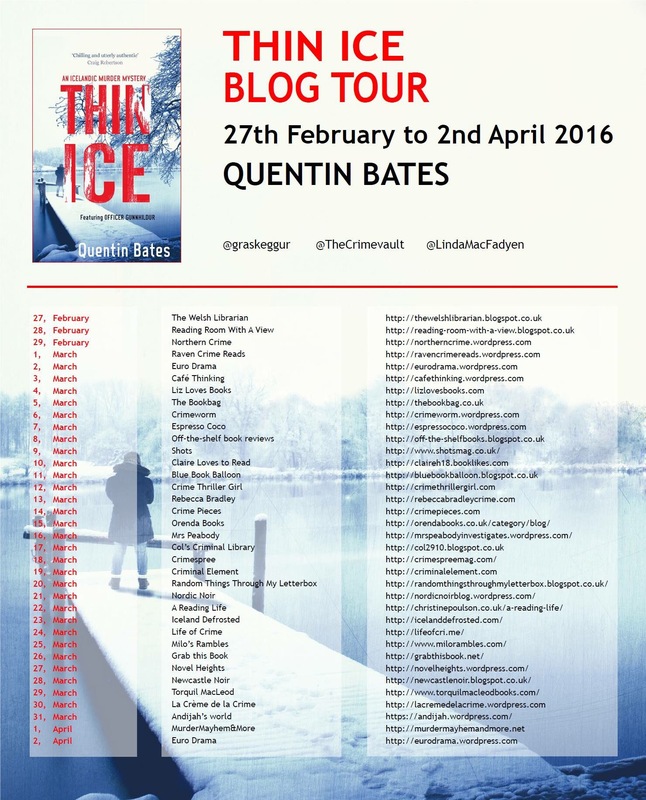 Happy reading – there is no excuse now that it’s cold and wet and miserable in England!